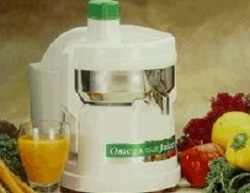 The Omega 4000 juicer operates with a continuous juicing flow with the pulp dropping into a back container as the work is done. The design is also more compact than many other juicers, which makes it a great model for smaller kitchens or users who need to put it in storage between uses. Let’s take a look at the strengths and weaknesses of the machine to see if smaller is a good or bad thing in the juicing world. Over-sized feeding chute to reduce food prep needed. The biggest compliment given to this Omega juicer from reviewers is that it is incredibly user friendly This is a juicer that can be used quickly and with ease, so you won’t spend a lot of time trying to figure out how it works or how the parts go together. The continuous stream of juice will fill up your cup quickly so you don’t have to wait long. This makes this juicer a good option for those who want to make juice quickly and get on with the rest of their day. Just note that there are some benefits to using the slower masticating juicers despite the time they take to produce juice. Speed is good, but sometimes going slow can make a better product. That is the case with juicers. Pulp is not very dry. Sometimes it splatters during use. Clogs often during the juicing process. As for the splattering from the top of the machine, some users have had success getting replacement parts from the manufacturer. This shows that the manufacturer is honorable and willing to make things right if you find your unite splattering too much for your liking. The real complaint against this model comes from those who have used other juicers in the past, probably masticating juicers. This is because the pulp that is ejected from this model is by far not as dry as the pulp you would expect from a masticating juicer. This is the result of the faster processing. 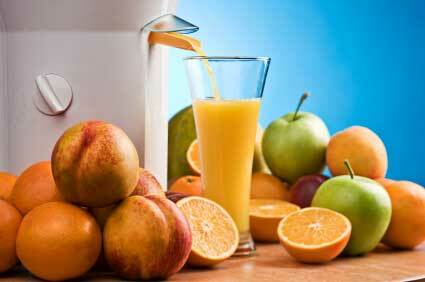 Masticating juicers are much slower but tend to get more juice and nutrients out of the pulp. Before purchasing this juice extractor, take the time to compare its features and efficiency with a masticating juicer. You will see the benefits of choosing a juicer that works slower, but in the end you may still opt to go with a faster model like the Omega 4000. The highlight of this machine is clearly its ability to spit out homemade juice quickly, but remember that the juice quality may not be as high due to that speed. Click here to compare to other popular juicer models.